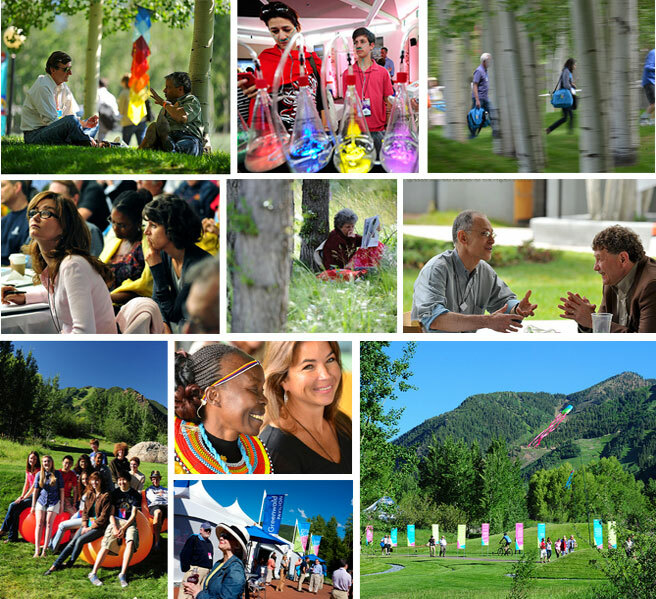 What’s The Big Idea at Aspen Ideas Festival 2015? Summer in Aspen, Colorado can’t be beat! The weather is perfect, downtown is hopping, the patios are packed, the trails beckon hikers and mountain bikers, the rivers roar, and—my personal favorite—there are so many world-class cultural events on our community’s calendar. 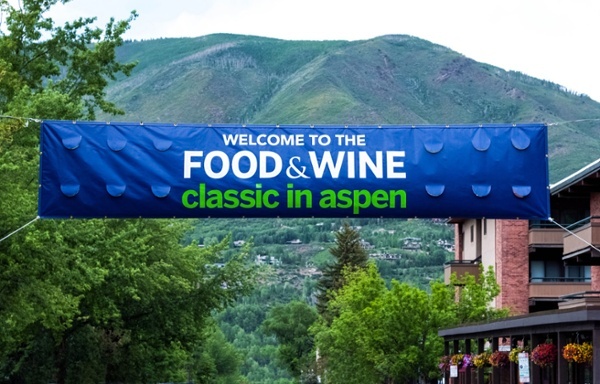 The annual FOOD & WINE Classic in Aspen feels like the official kickoff to summer. 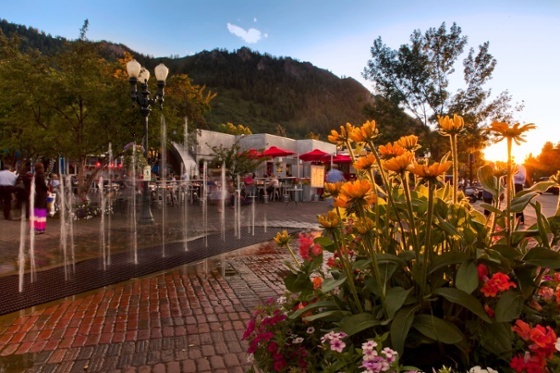 Every June, foodies and connoisseurs flock to Aspen in search of delicious dishes, flowing wine, and al fresco parties. Next up on Aspen’s summer culture calendar is the Aspen Ideas Festival. Bringing together a diverse collection of the brightest minds in our world, Aspen Ideas Festival is a fete devoted to dialogue. From June 25 through July 4, Aspen’s mantra of “Mind, Body & Spirit” will be personified by the energy, individuals, and ideas that come together at the Ideas Fest campus. EQUALITY, DIGNITY, AND THE PURSUIT OF HEALTHINESS asserts that reducing global inequality is the moral imperative of our time. How can we reach more people with health-generating strategies? THE GLOBAL MARKETPLACE examines how everything from politics to flows of people, services, technology, finances, and energy impact opportunities for American business at home and abroad. What kinds of smart ideas will foster economic prosperity? FAITH, CONFLICT, AND THE FUTURE OF RELIGION explores the issues and complexities that define cultures and conflict, domestically and across the globe. MAKING ARTS WORK examines solutions that arts and culture offer toward creating a society that is vibrant, yet harmonized, in its polyphony of voices. Leaders in the arts will demonstrate how the arts can meaningfully improve our world, giving us a life we want to live. THE ENDANGERED AMERICAN DREAM examines the widening gap between the haves and have-nots and explores the range of policies and practices to restore economic mobility. These are just a handful of the tracks at this year’s Ideas Fest that I will be following. Are you in Aspen for the festival? Are you interested in learning more about Aspen real estate? I’d love to buy you a coffee or meet up for a chat on the Aspen Ideas campus to learn what you’re looking for in Aspen, answer any real estate questions, or discuss the current real estate in Aspen. The FOOD & WINE Classic in Aspen is a local summertime institution. Aspenites, part time locals, and guests from all over the world flock to Aspen for a weekend full of culinary adventures, vintage tastings, warm weather, and al fresco parties. Signifying the official kickoff to summer in Aspen, the FOOD & WINE Classic is one my clients’ (and my own) favorite annual events in Aspen. If you’re fortunate enough to be in Aspen for this weekend’s FOOD & WINE or if you’re living vicariously from a distance, the F&W schedule is a bit intimidating. With a jam-packed three-day calendar of lecture, tasting, breakout sessions, and panels that bookend the twice-a-day Grand Tastings, there’s a lot to experience during FOOD & WINE weekend in Aspen. So, I compiled a handful of must-attend events that will ensure you make the most of your time in Aspen during the FOOD & WINE Classic. 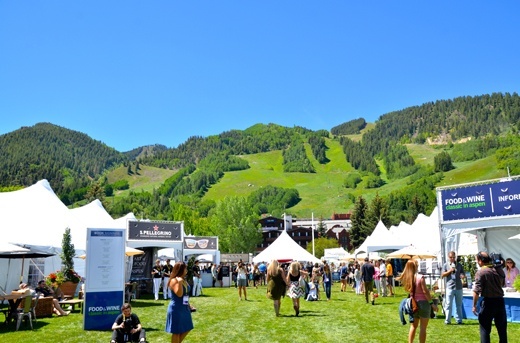 Here are 5 tips from an Aspen real estate agent to enjoy the FOOD & WINE Classic in Aspen. These are panels that you should consider fitting into your busy schedule this weekend. Aspen local Laura Werlin is one of the world’s preeminent experts on cheese (is this the best job in the entire world?!). And, Megan Krigbaum is the FOOD & WINE Deputy Wine Editor. Together, this renowned duo “will guide you through the best of Spain’s cheese and wine.” Spain is one of my favorite countries in the entire world thanks to its culture, cuisine, wine, and panache. This will be a fantastic introduction to perfect pairings from Spain! Can you picture a better way to start your day than sampling some of the most expensive, extravagant, hard-to-find, and opulent wines in the entire world? I didn’t think so. This panel hosted by wine expert Mark Oldman will pour mind-blowing wines for attendees. You will have the chance to “taste $42,000 worth of wine” before 11 AM! Oldman is one of the country’s leading wine personalities and an award-winning author, among other things. Are you a fan of food shows on TV? If so, don’t miss this live quickfire challenge after Saturday’s first Grand Tasting. Gail Simmons is a permanent judge on Bravo’s Emmy- and James Beard Award–winning series Top Chef and head critic on Top Chef Duels. Hugh Acheson is the author of the James Beard Award–winning cookbook A New Turn in the South: Southern Flavors Reinvented for Your Kitchen and chef/owner of the Athens, Georgia, restaurants Five & Ten and The National, the Atlanta restaurant Empire State South and the Savannah restaurant The Florence. These two Top Chef judges will take on the Quickfire Challenge in Aspen as they go head-to-head in front of a live audience. The energy will be awesome, the sense of humor will be hilarious, and the food will be to-die-for! Like you, I am a lover of the grapes and wines that Northern California’s little town of Sonoma churn out. California’s “Wine Country” is one of my favorite places to visit for a weekend of tastings and vineyard visits. So, the opportunity to learn about great Sonoma wines with wine expert Andrea Robinson is something I highly recommend. Robinson is one of only 21 women in the world to have been appointed Master Sommelier by the prestigious Court of Master Sommeliers. Designated Best Sommelier in the United States by the Sommelier Society of America, Andrea Robinson is also a former dean of wine studies of the French Culinary Institute. I’ll be at this event with my notepad in-hand to take notes and learn! The fifth and final Grand Tasting at every FOOD & WINE Classic is often ignored by visitors. However, Aspen locals love this last Grand Tasting because of its atmosphere and feel. After three days of indulging, it’s easy to skip this one, but I’d suggest rallying and stepping into the F&W tent one last time. Vendors are relaxed and generous, the crowds have subsided, and you’ll have access to every booth in the Grand Tasting without jockeying. Trust me: A few weeks from now, you won’t regret having attended this last tasting. Drink lots of water. The combination of altitude and imbibing can make for headaches, and you want to hit the ground running every morning of F&W. Don’t forget to explore the beautiful trails that encircle Aspen! A quick hike up the Ute, Smuggler, or Hunter Creek trails will open up breathtaking views of Aspen. Call ahead for dinner reservations at Aspen’s world-class restaurants. Town is busy, and you’ll want to make sure you have a table reserved for your after-hours event. From the very beginning of my career as a real estate agent in Aspen, I committed to always looking out for the best interests of my clients. Without hesitation and without question, my absolute priority when representing buyers and sellers is to conduct transactions, negotiations, and communications on behalf of clients with their best interests in mind. Unfortunately, some homebuyers and home sellers have had interactions and experiences with real estate agents who have done things that made the clients question motive or agenda. I’ve heard stories that have taught me valuable lessons about how to solidify a relationship between real estate agent and buyer or seller that lasts far beyond the closing of a property or sale. Because my clients’ best interest is my total focus, I am always willing to introduce my buyers to all listings. Granted, there are usually one or two listings that I have that fit a buyer’s needs and wants. But, my clients chose me because I represent them as buyers, not because I also work as a listing agent. Real estate agents must always remember who they are representing when working with a buyer. This focus needs to dictate decisions. Clients and agents will never create a realtionship that lasts beyond the sale if the agent looks out for themself more than the buyer. 2. My professional expertise and local knowledge are always available for my clients. “He/she didn’t share any local knowledge with us,” is a comment I’ve heard before about real estate agents. When buyers work with me to we have many discussions about what they were looking for and what was important to them in their specific home purchase. From good schools to ski-in/ski-out to downtown core to privacy, every buyer has a number of things that are high on their list. I will always provide links to websites, informative blog posts, and valuable resources to my clients that help paint Aspen real estate clearly. Of course buyers make their own decisions, but it’s my job to offer all information and knowledge I have at my disposal to empower them to make a good decision. 3. “The last agent we considered working with only took us to that we found,” said a client of mine while we were discussing working together. I was aghast. The truth is, compared to buyers a decade ago, every current homebuyer that I work with is exponentially more informed about listings, the market, supposed estimates and values, etc. The internet has empowered buyers to be more educated and conduct their own research. But, the idea that a real estate agent would not bring their professional insights and more listings to consider to the table for their client blows my mind. That an agent would not show a client any listings other than the ones the client found themselves is asinine. I believe wholeheartedly that a good real estate agent will help their clients find the perfect home that meets their criteria by any means necessary! Everything I do revolves around showing my buyers and clients that I work for them. This is how I earn their business, and‚ more importantly—this is how I establish lasting relationships with clients that continue long after a closing, transaction, and sale.